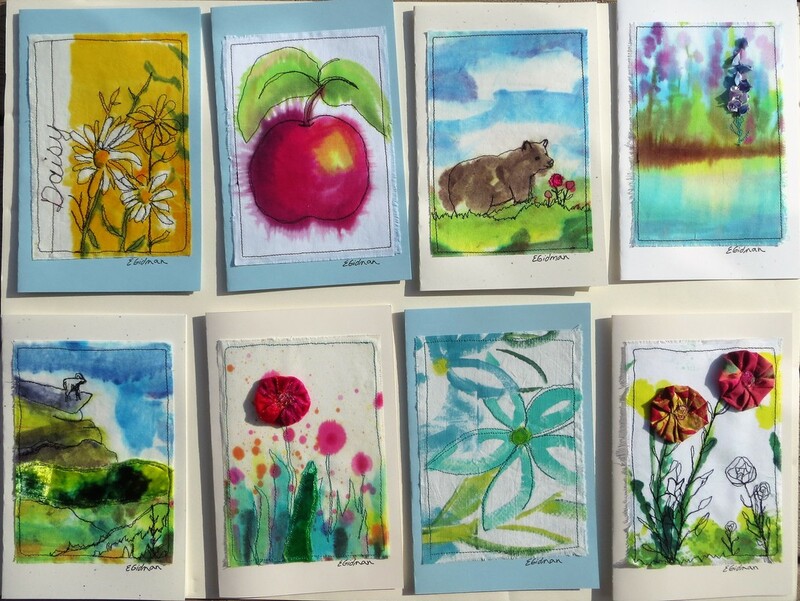 The cards are hand-made, original works of art. 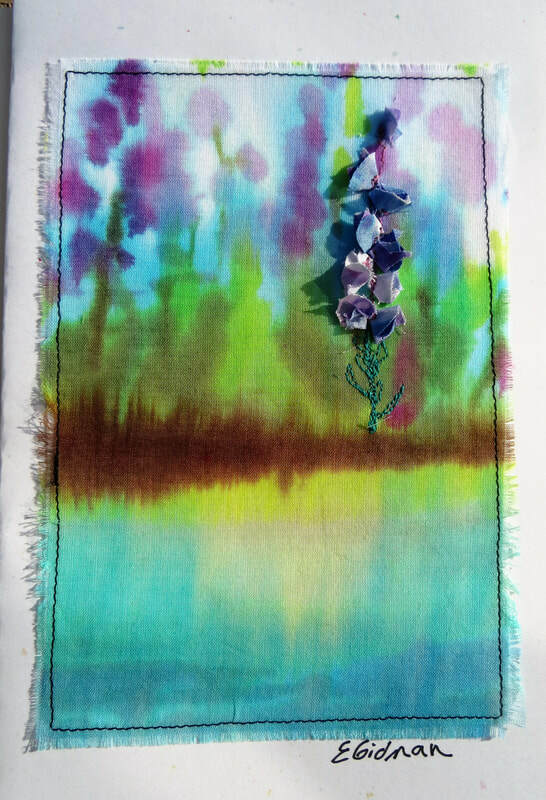 The natural fabric (cotton, linen, rayon, velvet) are hand painted by the artist with dyes. 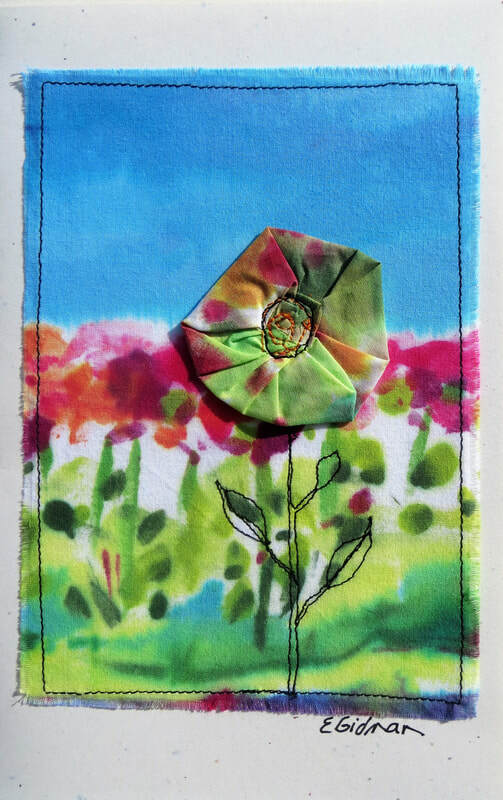 Each textile painting is embellished with thread sketching and additional hand-dyed fabrics. Frameable in a 5 X 7" frame. They are for sale at local outlets in Creston, BC and by contacting the artist directly.